Capturing over a hundred years of heritage, this book chronicles the history and triumphs of this globally celebrated sporting institution. It unravels the Barça phenomenon, telling the full story of this globally celebrated club. It looks at its creation by a group of Swiss, English, Catalan and German football enthusiasts in 1899, the battle to remain victorious in the face of decades-long repression and its emergence in the modern era as the most idolized, and successful, club in the world. All the great players, teams and managers, creating a truly glittering roll call of footballing aristocracy: from Kubala, Cruyff and Laudrup to Ronaldo, Ronaldinho and Messi. There is no football club like FC Barcelona anywhere in the world. The brilliance of its teams, the involvement of its fans in running the club and its status as a symbol of Catalan culture all serve to create not just a footballing institution but an entire way of life. 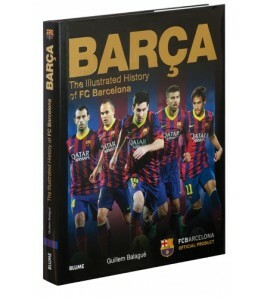 The book also looks at all the great triumphs, including myriads of La Liga and Copa del Rey wins, Cruyff's Dream Team and the 1992 European Cup win, the El Clásico battles and the staggering success of the Pep Guardiola side that beguiled the world with its sublime footballing philosophy. 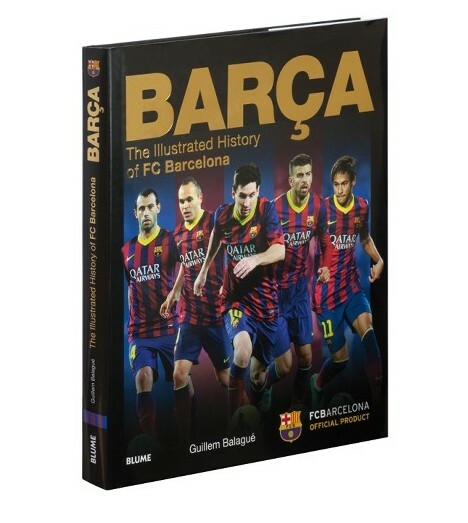 Fully illustrated with rare images that capture the club's greatest moments across the decades, this book is the definitive illustrated history of this great sporting institution and explains why, for a global audience, FC Barcelona is més que un club - more than a club. Guillem Balagué is a key fixture in Sky Sports' coverage of Spanish soccer, appearing regularly both on live match coverage and on the weekly round-up show, Revista de la Liga. He is also the UK Correspondent for AS, the Madrid-based Spanish sports newspaper and the radio Onda Cero. His work appears regularly in The Telegraph and he is the author of bestselling books about Barcelona Legends, Lionel Messi and Pep Guardiola.